As I think about my final thought, I’m taken back to RA training in August. 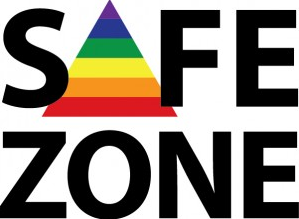 We had a guest speaker from a different university come in to do Safe Zone, and he was talking about ally-ship with our RAs. He equated calling yourself an ally to giving yourself a nickname. If you’re asking people to call you “hot stuff” all day long, are they really going to take you seriously (or even call you that)? In the same way, if you preach about being an ally without being deemed such from whatever in-group for which you’re allying, are people going to trust you? Probably not. It’s in this light that I posted my final thought. Even if we’re in positions of power where we can lobby for underrepresented students, what good does that do us if we haven’t earned their trust? We can’t represent them if we don’t know them. I know that I can’t ever experience life as someone other than a straight, white, middle class woman, but I can do my best to listen and understand the experiences of those students who identify differently than I do. This is why, for me anyway, relationship building is key to representation. This kind of representation can happen both intentionally and organically. I’m currently new-ish at my institution, so it’s been on me to get to know the campus culture, dynamics, and students; an intentional effort on my part. Spending time with students, immersing myself in their activities, and building close relationships with my RAs—many of whom fall into the category of being underrepresented—allows me to feel the pulse on campus. It’s through these intentional interactions that I’ve found the process of representation manifesting itself organically. Not every conversation is, “Hi, I’m Mairead, how can I represent you today?” but instead a regular conversation that turns into something much larger. As an example, a student who came in as a witness in a Title IX investigation asked to come back in because he wanted to share more information. His meeting was brief, but I noticed that he was wearing Greek letters. We don’t have male Greek organizations on this campus, so I asked about his affiliation. He explained that he’d crossed with a city-wide chapter and that he’d been part of a group working to try to get a male Greek—specifically, a National Panhellenic Council—organization on campus. We talked about why it hadn’t worked thus far, and I told him I’d look into different ways for him to navigate the university’s political structure. Do I know if it’s going to be successful? Nope, but it’s not something I’ve forgotten about since we spoke two weeks ago. That’s a small example of why relationship building is essential to how I work to represent underrepresented students. I’m all about doing what I think is best, not what I think is easiest. I think that’s a battle often fought in any kind of representation. In order to do all of that, connecting with our students and earning their trust through our relationships with them is key. I wouldn’t trust someone who just started advocating for me—even if it was the kind of advocating I wanted or needed—if I had no idea who they were. It’s my job to make sure students don’t feel that way about me. Mairead Kiernan is a recent graduate of Texas Tech University’s Higher Education Administration M. Ed. program. She is also a Syracuse University alumna (go orange! ), and she is currently working as a Resident Director at Stevenson University outside of Baltimore. When she's not doing the res life thing, she enjoys traveling, cooking, blogging (check her out: maireadkiernan.wordpress.com), and volunteering at animal shelters so she can get her puppy fix!